So much to do, so little time. Spring parties are in full force and they are keeping the spies and Boozie very busy. Every time we turn around there is another event we just have to attend and this is just the beginning. 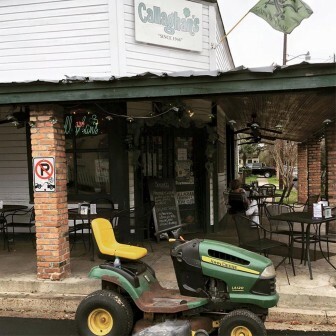 I guess you could call it the calm before the storm … the St. Paddy’s Day/Azalea Trail Run/Downtown Cajun Cook-Off storm. Boozie is just hoping the Crichton leprechaun makes an appearance and has my pot of gold because “I want da gold.” (I need it, as all of this partying is expensive!) But until he appears, we can just think of this week’s gossip as our own pot of golden gossip treasures. 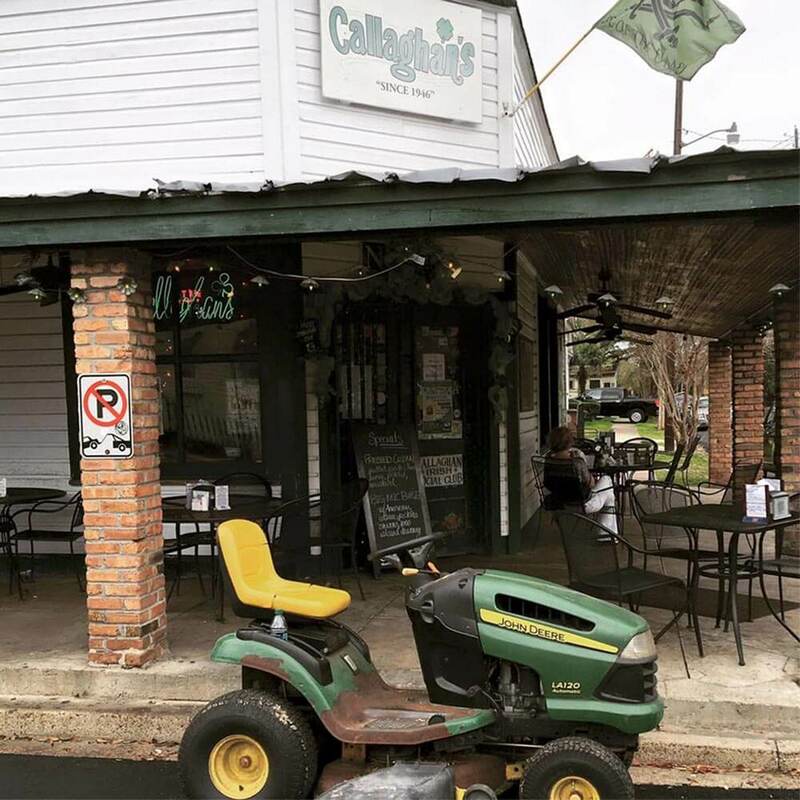 Last week, Boozie received word someone made their way to Callaghan’s in a very interesting way. Instead of driving a car or taking Uber they decided they would take the next best thing to get there, their John Deere riding lawnmower. Yep, a lawnmower. And when you ride in style, where else do you park? At the front door, of course. The thing that gets Boozie is, what is someone in Oakleigh doing with a riding lawnmower? Most yards are too small for such a big mower. I’m also wondering, if they drive that to Callaghan’s on St. Patrick Day celebration does that count as wearing green? Last Monday night Robert Plant was in town for a show at the Saenger and Boozie heard it was a great one. But Boozie also heard Mr. Plant tried out some local spots. I was told he was spotted at Serda’s, Spot of Tea and Callaghan’s! No word on what he ordered anywhere, but he couldn’t go wrong at those three places. I sure love hearing of celebs visiting! I hope some of you spot Sir Elton, too! Festival of Flowers has come and gone again. The decorations are always beautiful, the air is filled with magic and pollen and there are parties held at the festival grounds at Providence Hospital. This year’s Wednesday night Gala was the place to be. The food was amazing and the drinks flowed like the fountains there. A few local celebs were spotted, including Mayor Sandy Stimpson, District Attorney Ashley Rich, WKRG meteorologist Alan Sealls as well as a few of the lovely WKRG reporters. Boozie’s spies said the night was spectacular, in spite of the glares people gave when you cut in front of them to get first dibs on the delicious grilled oysters and grilled pimento cheese sandwiches. But hey, a girl’s gotta eat. And boy were they tasty! And it seems they thought of every detail! 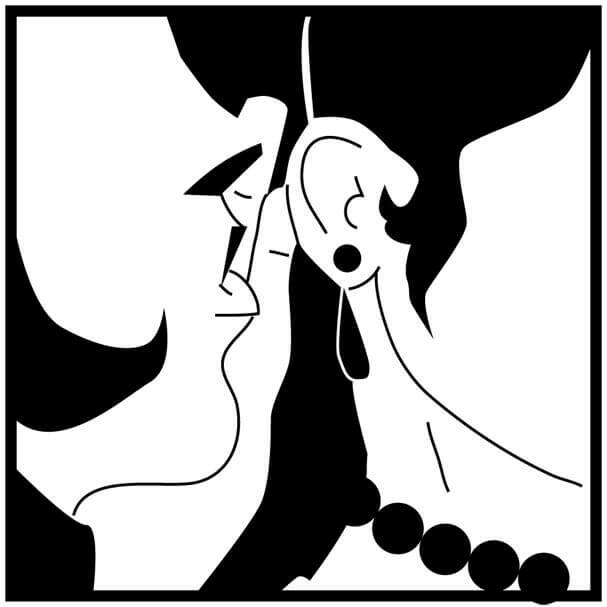 One of my spies was visiting the ladies room when she overheard an interesting conversation. The two ladies were discussing the toilet paper. They were saying how nice it felt. Not knowing anyone else was in the restroom, the ladies continued discussing its softness, with one lady even speculating it was Cottonelle, her favorite. My spy shouted out from her stall that Cottonelle was her favorite, too. Once they realized they were not alone, the two ladies ran out before my spy could get a look at who these three-ply loving ladies were. Too funny. But I was glad to hear they not only had wonderful food and drinks but also fancy toilet paper. What a fabulous night! The cruise ship terminal was flowing with libations, fancy footwear and gorgeous ladies last Thursday night at the inaugural Wine, Women and Shoes fundraiser. The first-time event looked like it had been going on for years, as it drew hundreds interested in sipping a little wine, browsing through an amazing assortment of items for sale and checking out hunky guys in tight, black T-shirts. My spies tell me these “Shoe Guys” were a big part of the draw, and that WKRG General Manager Mark Bunting stole the show with his dancing, energy and readiness to help the ladies have a good time. The cause was a worthy one indeed, as WWS was raising funds for Camp Rap-a-Hope, a place that offers children suffering from cancer a way to have a fun camp experience. The crowds were big enough this first year that organizers should be proud. The event was a bit light on men in attendance, but that shouldn’t be a problem next year once word gets out that hundreds of good-looking women are gathering to drink wine. Congratulations to the organizers. This is one event Boozie will definitely attend next year. Well, kids, that’s all I’ve got this week. Next week expect to hear about Elton John, Cajun Cook-Off and St. Patrick’s Day shenanigans! Just remember, whether rain or shine, dramatic or scandalous, or just some plain ol’ Cottonelle lovin’, I will be there. Ciao!